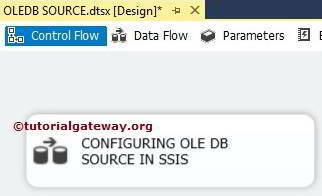 The OLE DB Source in SSIS is used to extract data from wide variety of databases which supports OLE DB Connections. 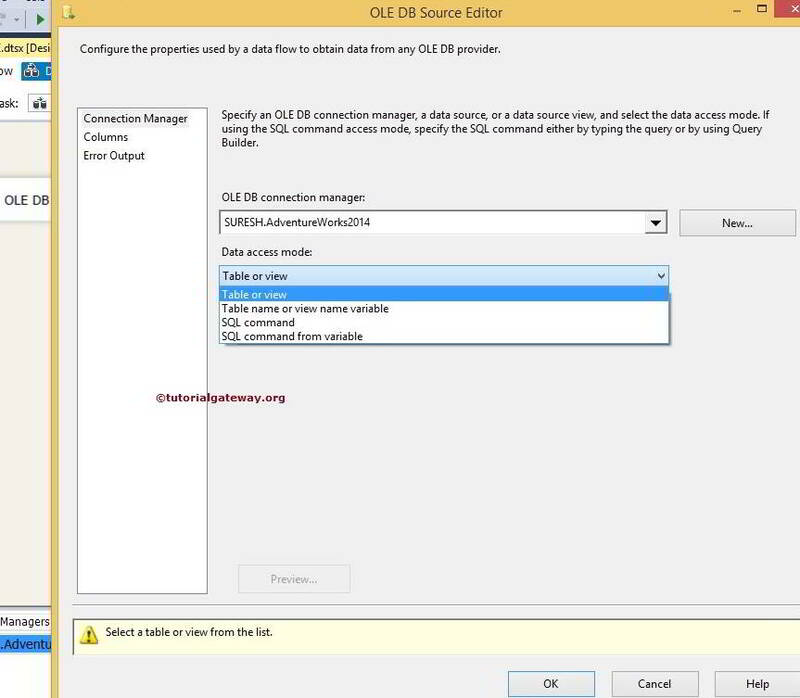 OLE DB Source uses OLE DB Connection Manger to connect with the Database Tables or Views. 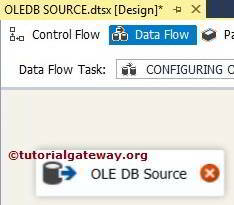 In this article we will show you, How to configure OLE DB Source in SSIS (SQL Server Integration Services) to extract data from SQL Server Database. 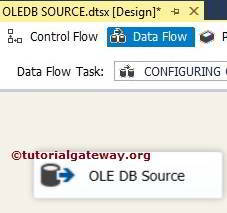 In order to do so, Please drag and drop the data flow task from the toolbox to control flow, and change the name as Configuring OLE DB Source in SSIS 2014. 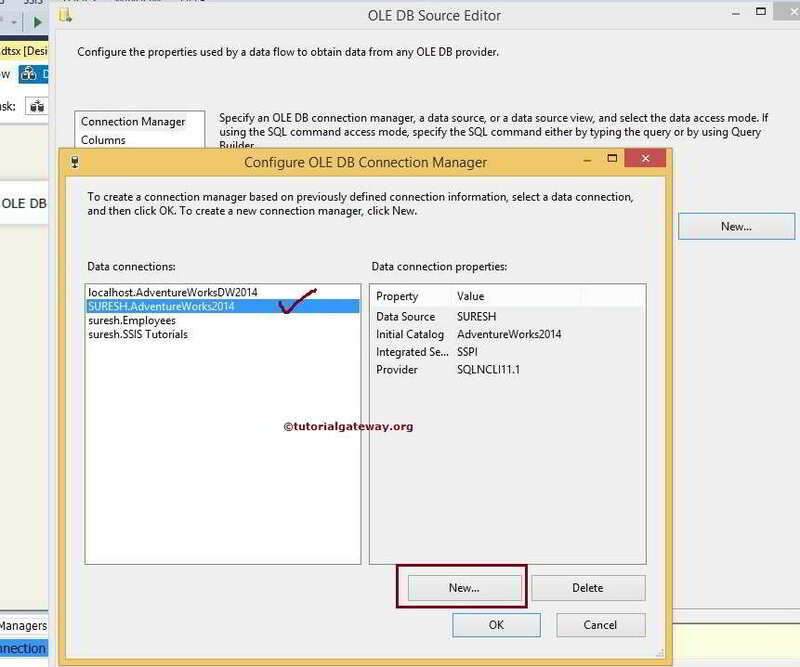 Double click on OLE DB source in the data flow region will open the connection manager settings. 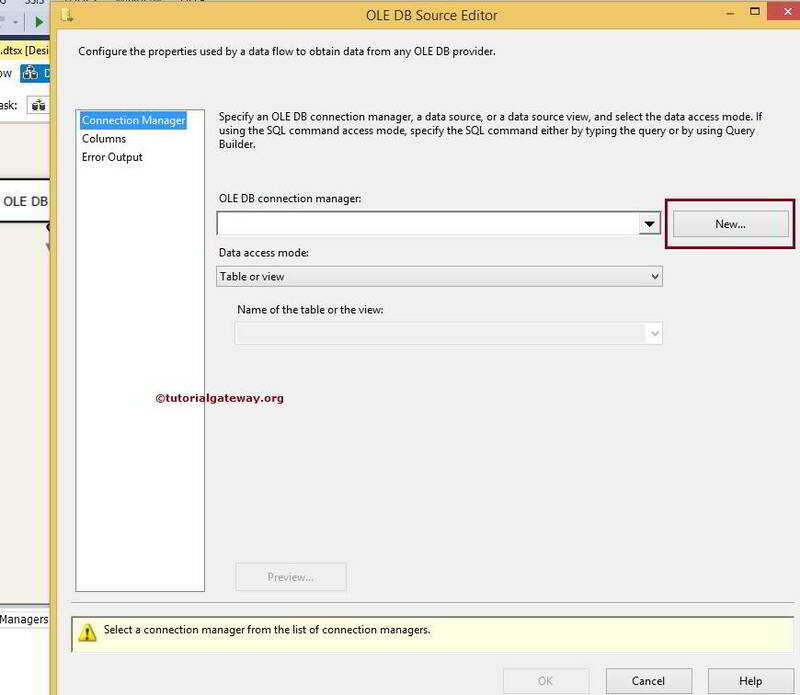 If you haven’t created OLE DB Connection Manger before click on the New button and configure it. Table Or View: If you select this option, It will display the list of available Tables present in the Database. And our job is to select the required tables from them. SQL Command: If you select this option then, We have to write our own SQL Command. Table name Or View name variable: For this option you have to provide the variable name which holds the Table name or Views name. 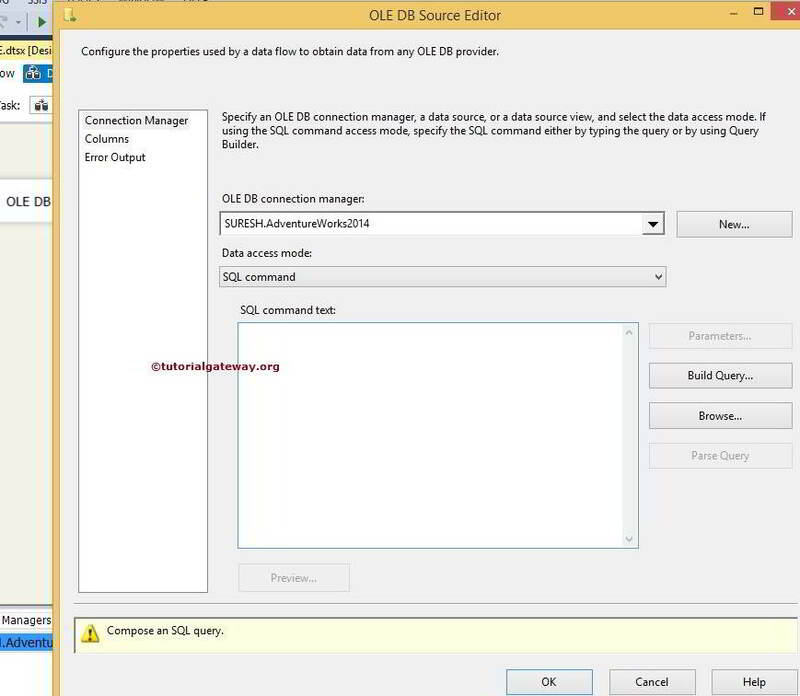 SQL Command from variable: If you select this option, We have to provide the variable name which holds the SQL Command. SQL Command Text: If you are familiar with SQL Queries then you can simply write it in the empty space provided by this option. 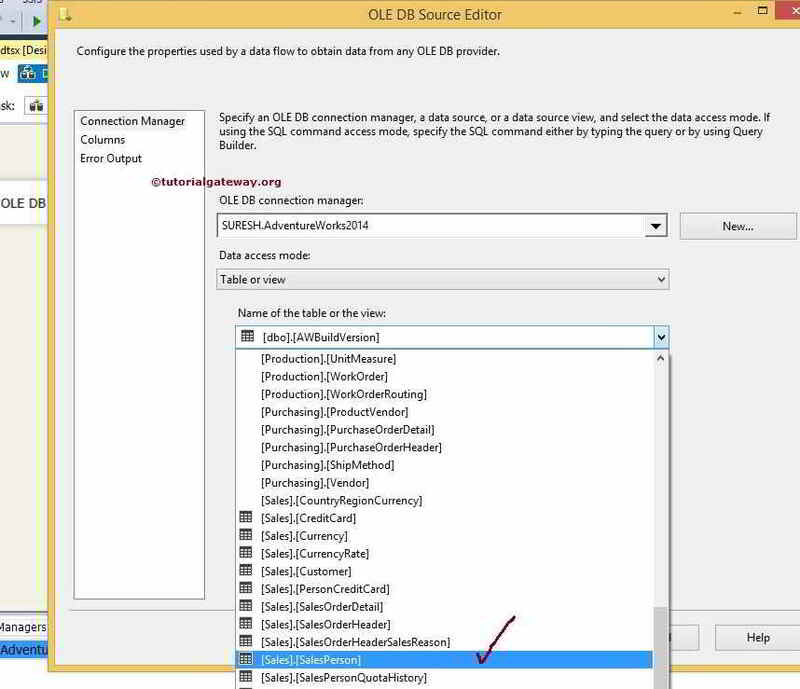 Build Query: If you click on this option, it will open Query Designer to design the required query using Graphical User interface. 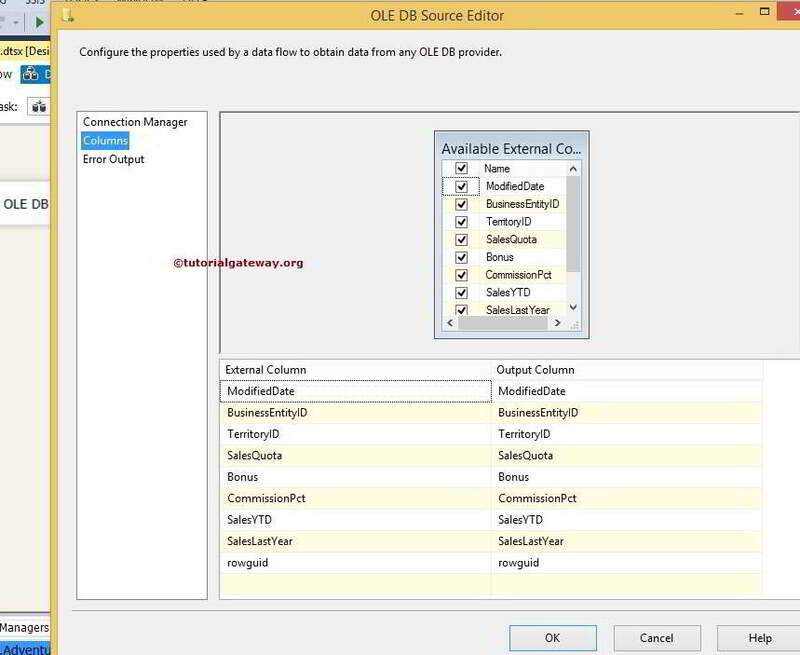 Please refer Query Builder in SSIS article to understand, How to design SQL query using Query Designer. Parameters: If your SQL query is parametrized query (with ?) then please assign the appropriate parameters using the dialog box. 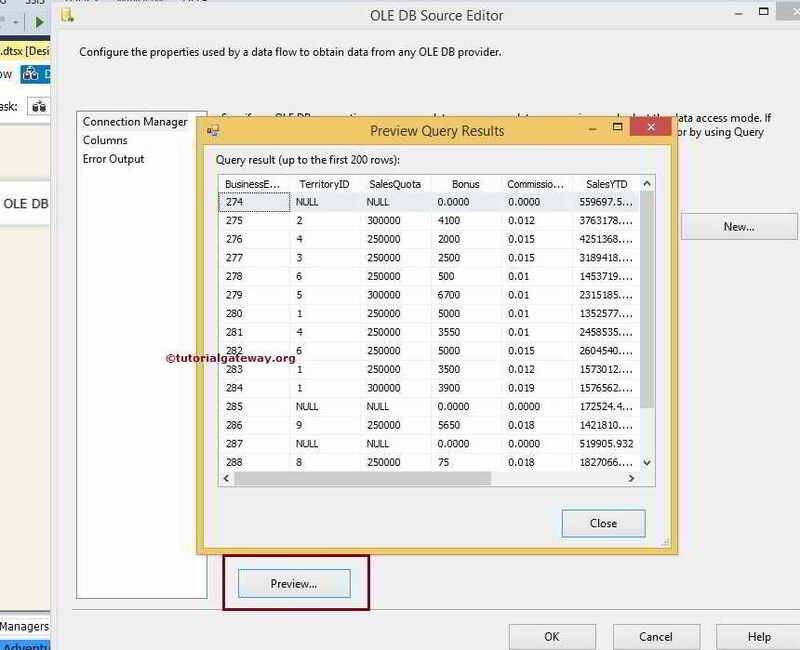 Browse: This will allow us to select the SQL Query present in the file system. For the time being we are selecting the Table or View option here. Once you select this option, Name of the table or the View option will display all the list of available Tables and Views present in the current connection manager.